One of the most exciting genre celebrations in recent years, the Salem Horror Fest kicks off again this October and Daily Dead is proud to be a media sponsor of the 10-day event. In addition to featuring Ryan Turek as a keynote speaker, the festival will also include the return of The Faculty of Horror podcast for a live show. 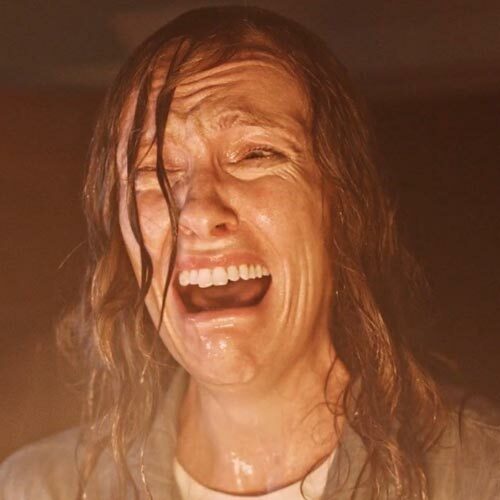 We have more information on the exciting announcement in today's Horror Highlights, which also includes Kickstarter campaign details for the horror comedy short film Frank & Mary, as well as info on author David Moody's new novels in his Hater series. 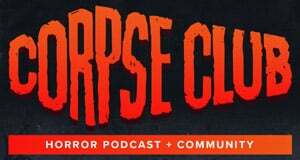 The Faculty of Horror Podcast Returning to Salem Horror Fest: Press Release: "Salem, MA - Pop academic podcast, The Faculty of Horror, is set to return to the Witch City for a live show at Salem Horror Fest this October in partnership with Rue Morgue Magazine. 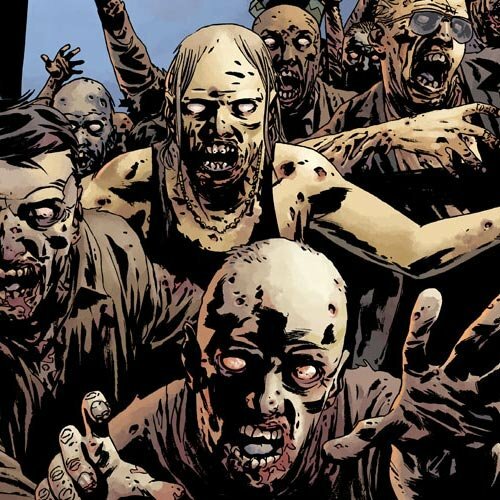 Hosts Andrea Subissati (Rue Morgue editor) and Alexandra West (author The 1990s Teen Horror Cycle: Final Girls and a New Hollywood Formula) will also give lectures on focused topics within the genre at the Peabody Essex Museum. "Our first ever live show in front of an audience at Salem Horror Fest was a wonderful experience, and it was great to meet many of our listeners in such an intimate and historic environment,” said Subissati. The most recent episode of The Faculty of Horror features a deep dive discussion about witches in horror, and is now available on iTunes and Stitcher. Salem Horror Fest returns Thursday, October 4 - Sunday, October 14th, 2018 in Salem, Massachusetts. Further details to be announced in the coming weeks. For more information, please visit salemhorror.com. 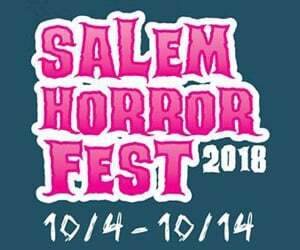 Salem Horror Fest will continue its cultural exploration into the horror genre with a two-week program of film screenings, speaker events, parties, podcasts and special events in the Halloween capital of the world running Thursday, October 4 - Sunday, October 14th, 2018. Visit salemhorror.com for more information." Frank & Mary Kickstarter Campaign: "Frank & Mary is the modern day tale of an elderly DIY enthusiast who reanimates his recently deceased wife in the garden shed. 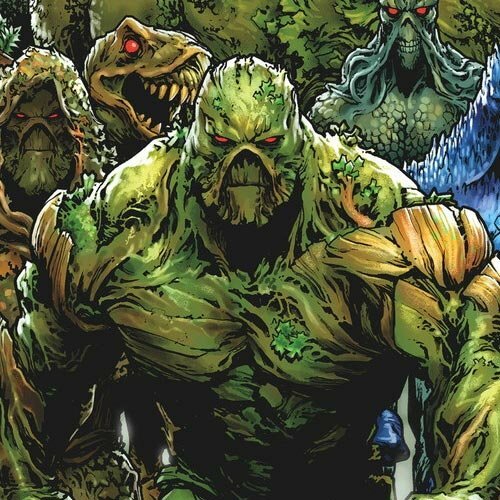 He struggles to keep her secret as her decomposing mind turns violent and the bodies start to pile up beneath the flowerbed. Frank & Mary is a dark comedy horror short film about love, loss and D.I.Y. 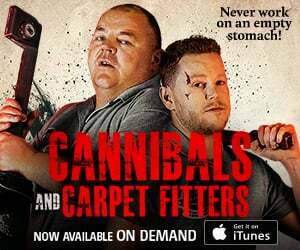 A suburban twist on the classic Frankenstein tale, by Paul Williams and Evil Hypnotist Productions, the team behind the multi-award winning horror comedy The Furred Man. It costs an arm and a leg to make a film so you can give us both... or a torso, a head and even a brain. "You've heard of the horror genre the cabin in the woods, well, this is the British version - the shed in the garden. Think live action Wallace & Gromit meets Hammer Horror with an Inside No 9 twist. British illustrator Heath Robinson is the inspiration for the contraptions used to augment Mary. Frank rebuilds her from whatever he can find in his garden shed and by the end of the film Mary is more D.I.Y project than human. 2018 also marks the 200th anniversary of the publication of Mary Shelley’s Frankenstein, and what better way to celebrate than with a brand new take on this classic tale." Building a fake shed (which we then have to destroy). Set build for the interior of Frank's shed. Prop articulated D.I.Y arm for Mary. With your help we can bring our suburban horror to life." To learn more about Frank & Mary, visit the short film's official Kickstarter campaign. New Books in the HATER Series Coming from Author David Moody: Press Release: Oscar winning director Guillermo del Toro (THE SHAPE OF WATER, PAN’S LABYRINTH) called Moody’s 2009 novel HATER “a head-spinning thrill ride, a cautionary tale about the most salient emotion of the 21st century”. After tearing the human race in half in HATER and its two critically acclaimed sequels DOG BLOOD and THEM OR US, Moody’s now paying a return visit to his dystopian world with a brand new trilogy. HATER story, with the six books ultimately combining to form a single epic dystopian saga. 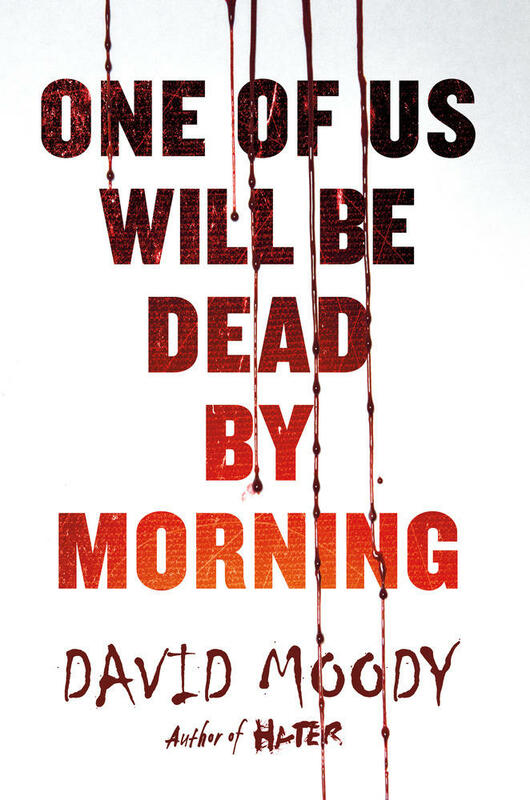 Critical reaction to the first book in the new series – the snappily-titled ONE OF US WILL BE DEAD BY MORNING – has exceeded Moody’s expectations. Kirkus called the book "A bloody fun ride... Another wetwork nightmare that should delight fans of Haters and intrigue writers who wallow in the genre", while Booklist’s starred review said that "Moody really knows how to write creeping, claustrophobic terror, effectively sneaking up on his readers and, finally, scaring the life out of them. Top-drawer horror”. DLS Reviews said that "the novel rips you out of your safe and sung world and thrusts you into an environment where anyone can turn on you in the blink of an eye. 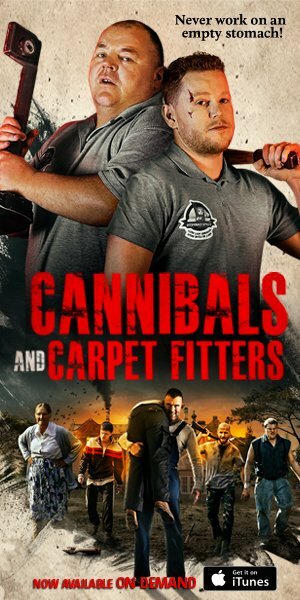 It’s hard-hitting, head-poundingly tense, and drenched from head to toe in blood-splattered cruelty." ONE OF US WILL BE DEAD BY MORNING is available now in hardcover and ebook from St Martin’s Press, and as an audiobook from Macmillan Audio. Find out more about Moody at www.davidmoody.net."